Update: This no longer seems to exist. They killed it in a patch at some point. For those of you who haven’t seen this yet there’s a new version of facebook available (In addition to the mobile and full versions) called Facebook Lite. Facebook Lite is a mix between the mobile version and the full version it seems. 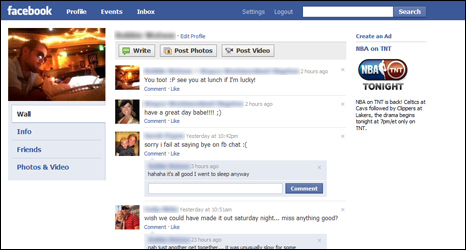 The first obvious omission is the Facebook Chat… which for some reason causes my computer to hang for a split second every time I get a new message… and even if I’m in another tab it causes my keyboard to lose focus in whatever field I’m typing into (even though the cursor is still sitting there blinking at me). I couldn’t find options like “Poke” on other people’s profile and their wall seems to be much more lightweight and load much faster. If you’ve got a slow computer and don’t necessarily care about all the bells and whistles then Facebook Lite seems to be the way to go. It also might be a nice choice for those of you who have smartphones and don’t feel like using an old “mobile” version of Facebook.